In the fall 2016, MIPA Board launched regional workshops in an effort to “regionalize” the programs MIPA offers its members. Registration will start Sept. 1. Space is limited to the first 75 students who register (that’s up by 50 from last year!). This free event will take place from 10:00 a.m. to 2:30 p.m., and lunch is provided. 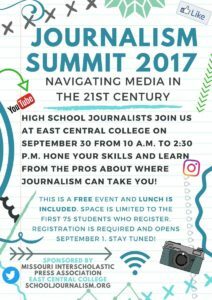 Students can expect to hear from various professionals and learn more about what ECC has to offer in partnership with the Missouri School of Journalism. 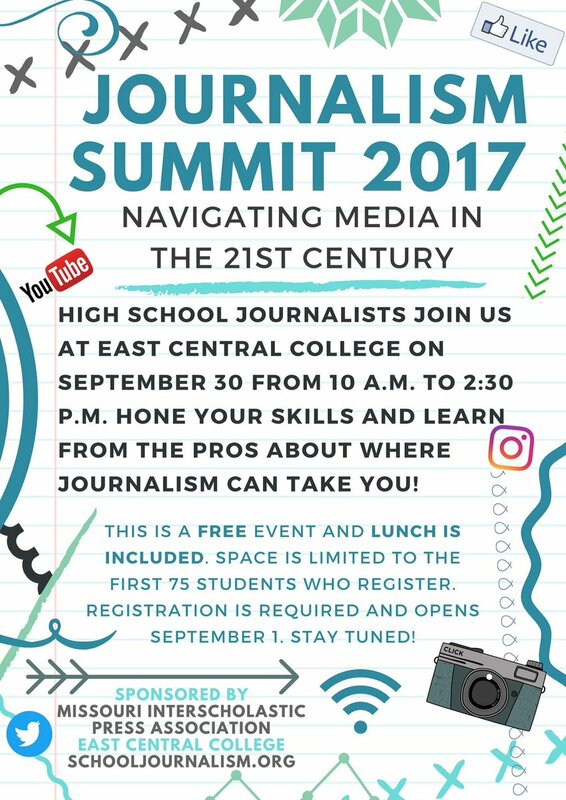 Beyond exploring the Journalism and Mass Media options at ECC, students will learn more about photography, compelling storytelling, tech trends, media literacy, and more.